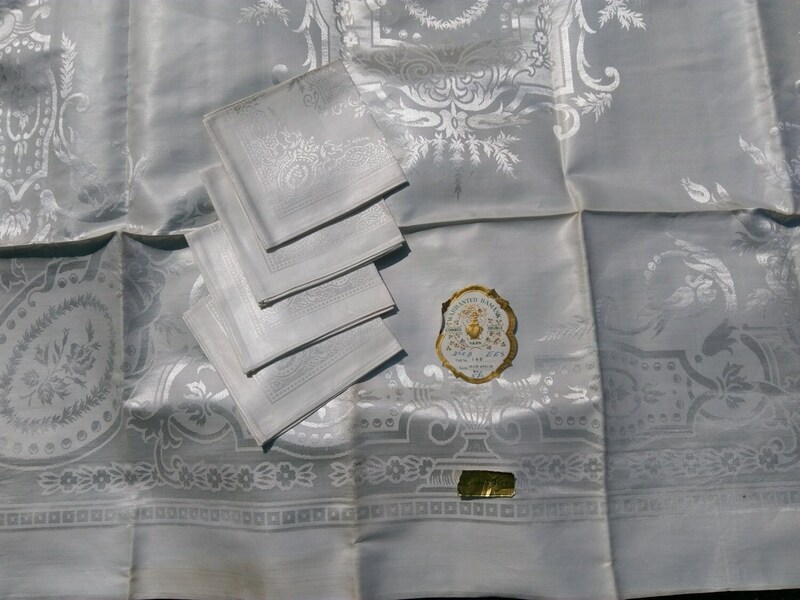 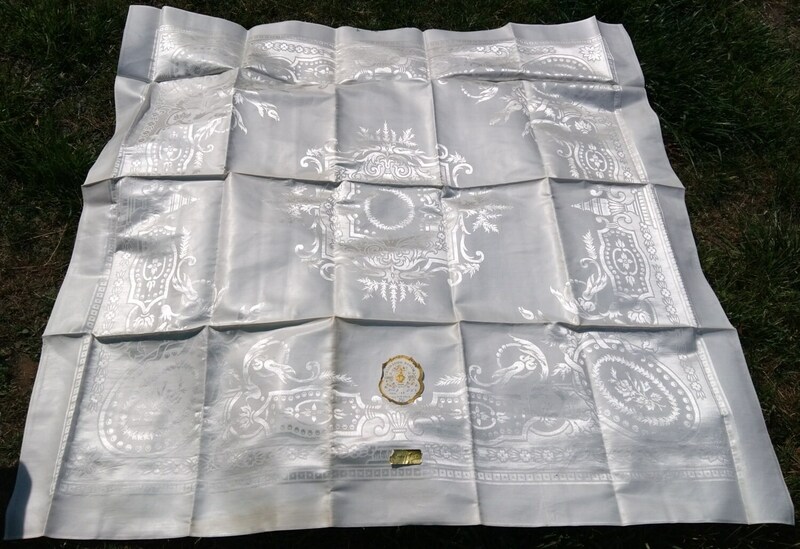 Gorgeous White Damask Tablecloth and 6 matching Napkins . 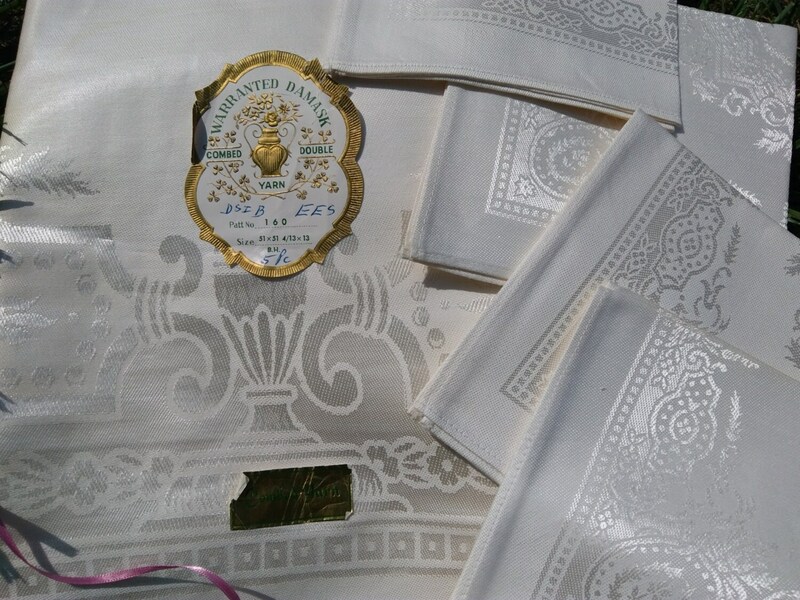 Beautiful Damask Design. 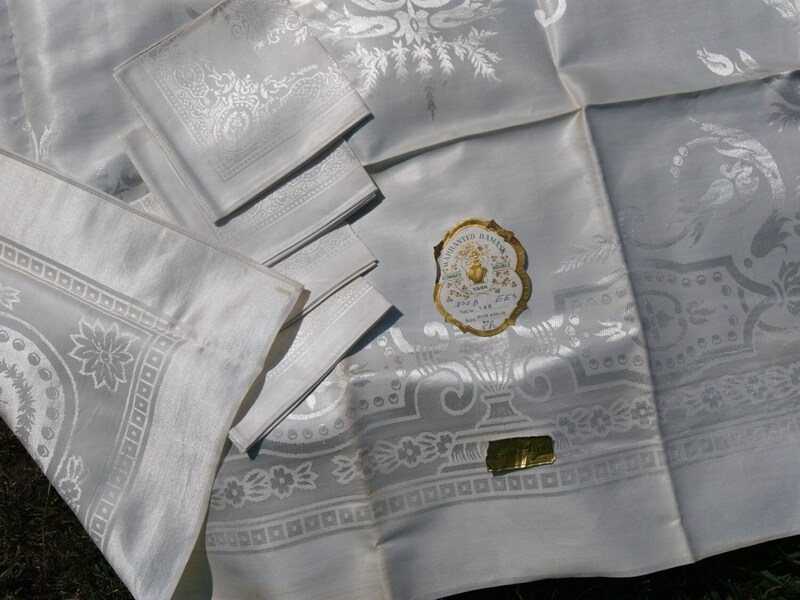 Good original condition, unused (need to be laundered). 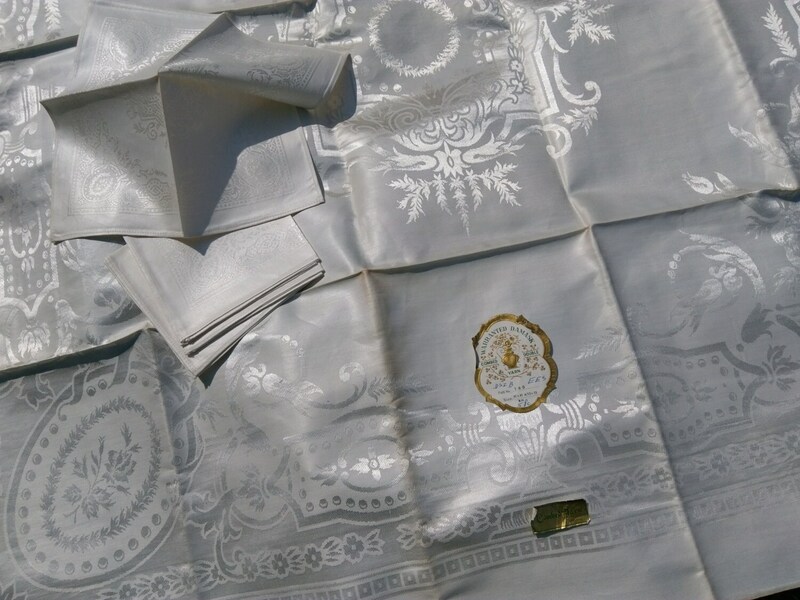 Gorgeous high quality Damask tablecloth !